I joined Activist Insight in 2013 as the company’s first full-time journalist. Three years later, I manage a team of journalists and have created and continue to write for a monthly magazine and weekly newsletter. 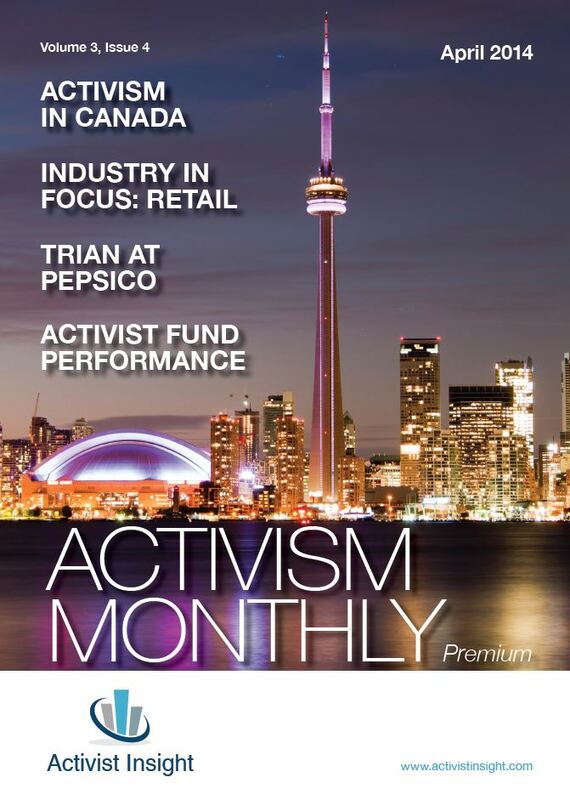 The company, which provides a live news service in addition to Activism this Week and Activism Monthly, focuses on the exciting and at times controversial world of activist investing. It’s a diverse and interesting beat, which requires the numeracy of a financial journalist and a wide set of contacts to make sense of complex legal issues. I was initially heavily involved in the production and sales side of the magazine, securing advertisers and boosting subscriptions. As the company has grown others have taken on these responsibilities. This Canada special contained interviews with Walied Soliman, Orestes Pasparakis and Wes Hall. This proxy season special contained interviews with Jim Woolery, Eric Rosenfeld and Greg Taxin. In December and January 2013 I edited and wrote the company’s annual showpiece report, The Activist Investing Annual Review 2014. Interviews included the likes of Carl Icahn, Schulte Roth & Zabel’s Marc Weingarten and David E. Rosewater, JANA Partners’ Charlie Penner and Bulldog Investors’ Phil Goldstein. In addition, I manage media enquiries and produce press releases to maximise the coverage of our research. I have also transformed the company’s social media presence, generating almost 100x as many Twitter followers in the company’s second six months as the initial team has attracted in the first instance.